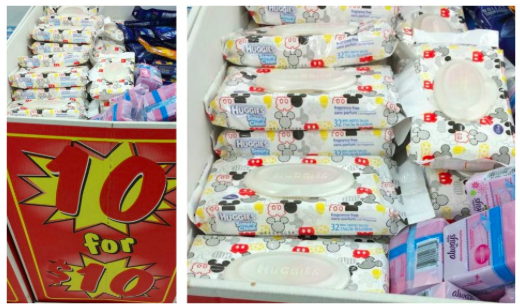 Many people are reporting that the 32ct Huggies wipes are $1, that's the regular price!!! There is also a $0.50 coupon out there!!! Making them only $0.50 a pack! There is also a $0.50 huggies coupon when you sign up for Betty Crocker Newsletter and coupons! OR CLICK THE PICTURE BLOW TO SIGN UP! or (2) Betty Crocker Newsletter and coupons!